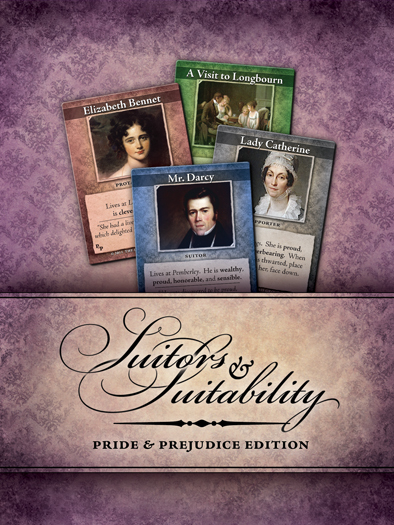 Suitors & Suitability™ is a game of cards based on Pride and Prejudice, by Jane Austen. 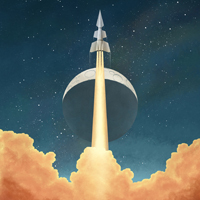 You don't have to know the story – everything you need is included. Players take the role of a young woman such as Elizabeth Bennet or Charlotte Lucas. 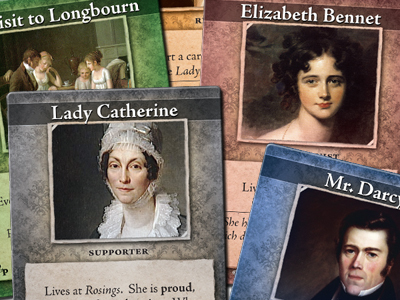 Attempting to win the affections of suitors like the honorable Mr. Darcy or the vile Mr. Wickham, these protagonists must overcome many obstacles. Take the story into your own hands and see how it unfolds!